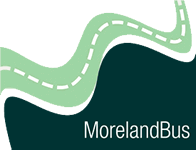 Moreland Bus operates across the Northern Suburbs of Melbourne and has depots in both the inner and outer metro area ensuring prompt and reliable service to this entire region. Moreland Bus services all schools in this area and ensures a safe, reliable and professional service. Moreland Bus also caters for long distance travel and specializes in school camp transfers and day trips for groups into regional Victoria or even interstate. Moreland Bus is also in close proximity to the airport for group pickups and can look after your travel needs throughout your entire stay in Melbourne. Fill in this online form to get a quote or to book in a service with Moreland Bus. We respond to most requests within one business day.